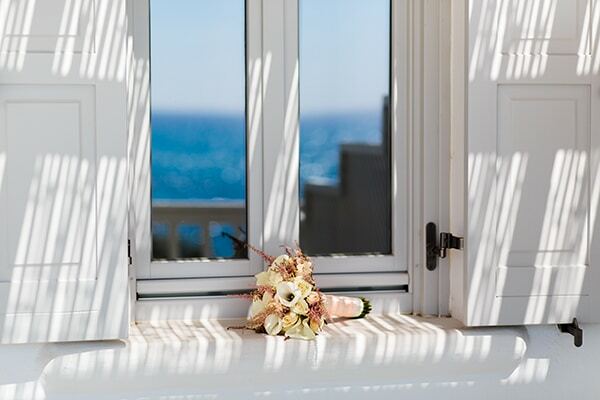 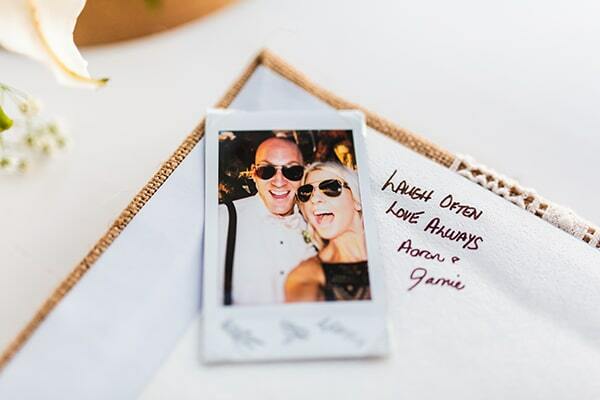 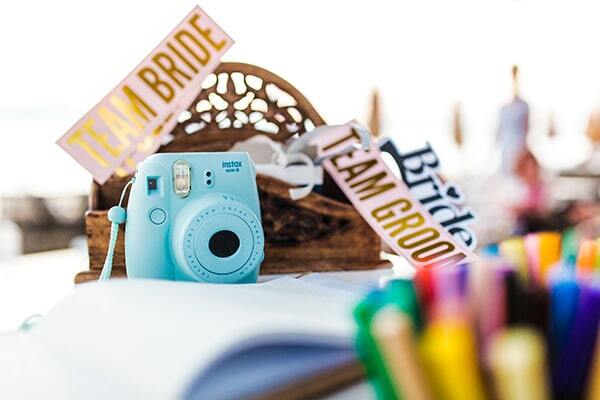 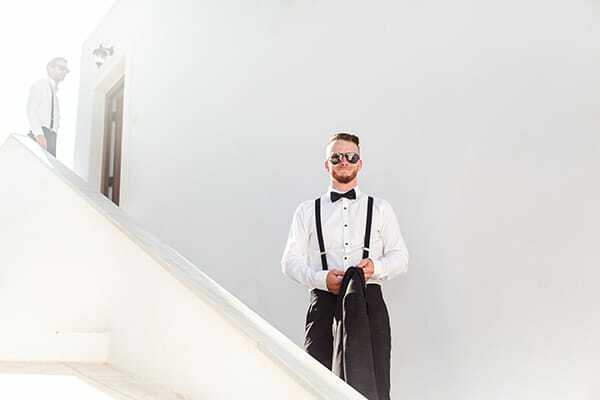 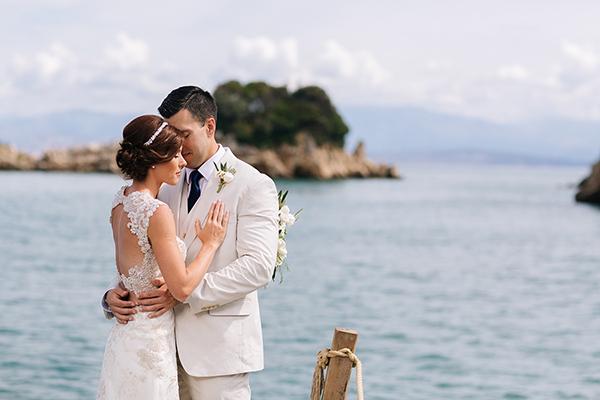 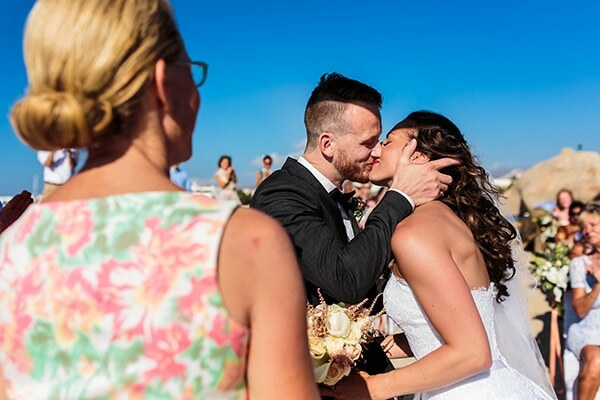 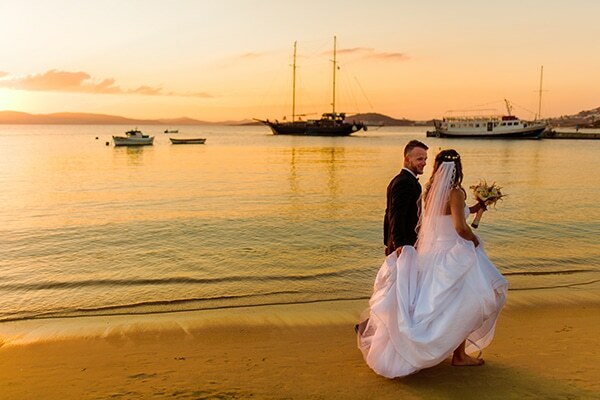 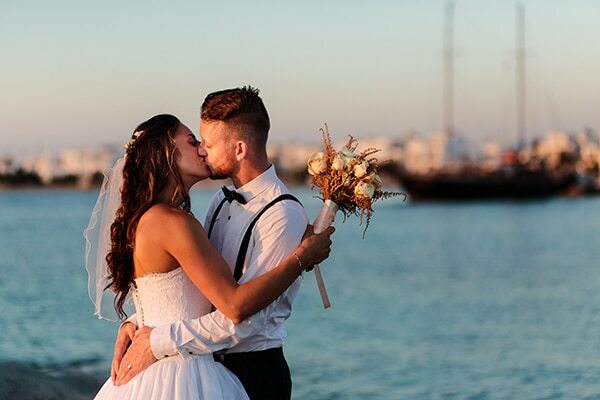 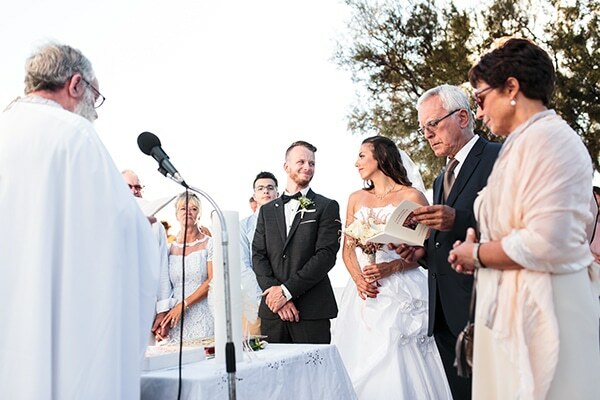 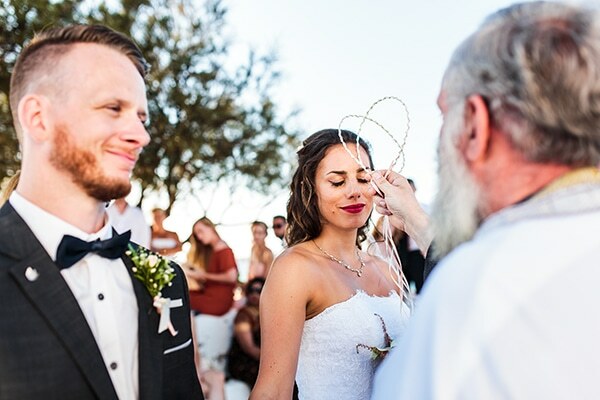 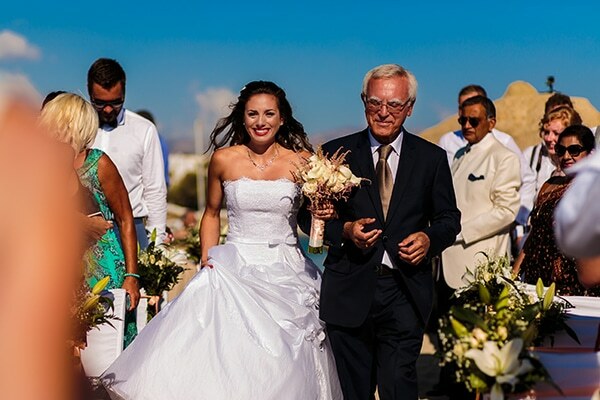 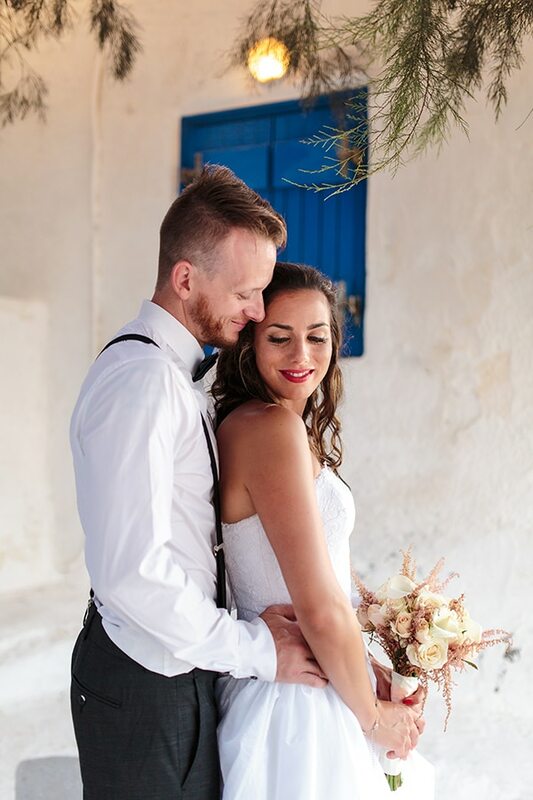 The two lovebirds of today’s wedding decided to seal their love and create a gorgeous destination wedding in Naxos. 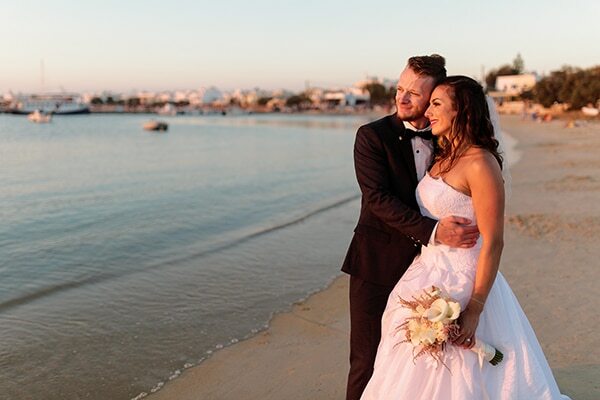 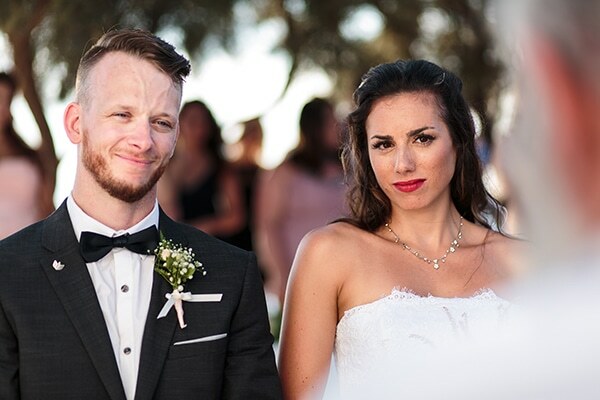 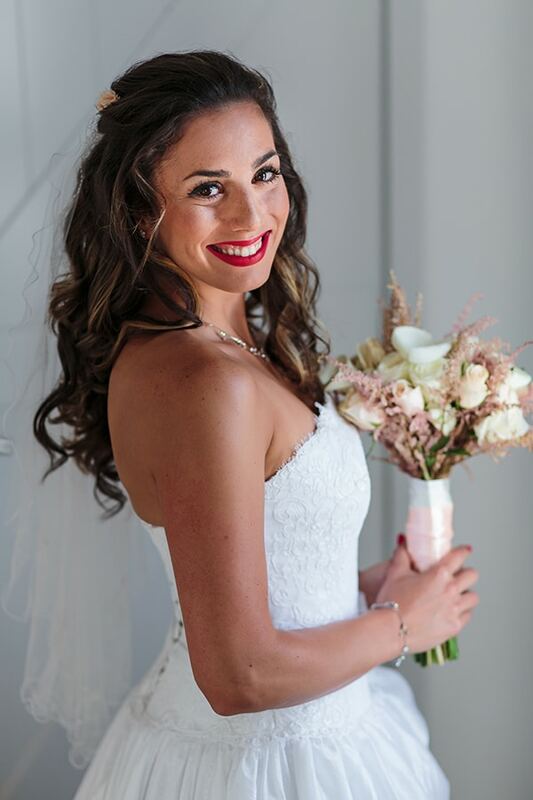 Rini and Shaun, a Greek-German beautiful woman and a Canadian handsome man fell in love so deeply that they manage to overcome any distance obstacles. 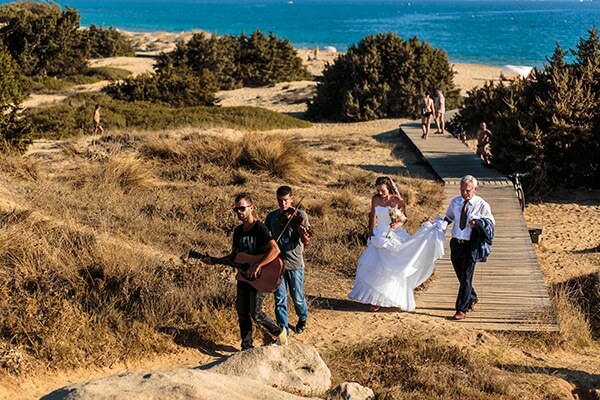 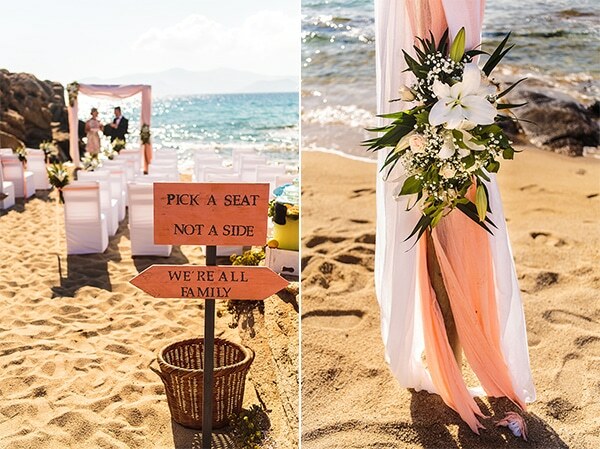 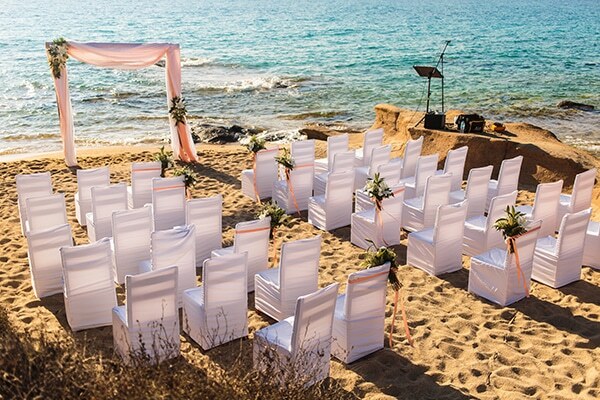 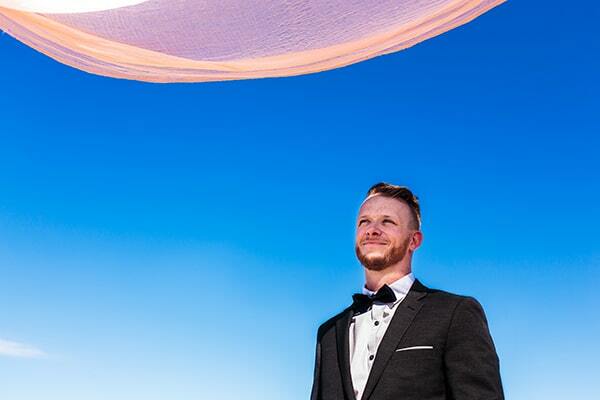 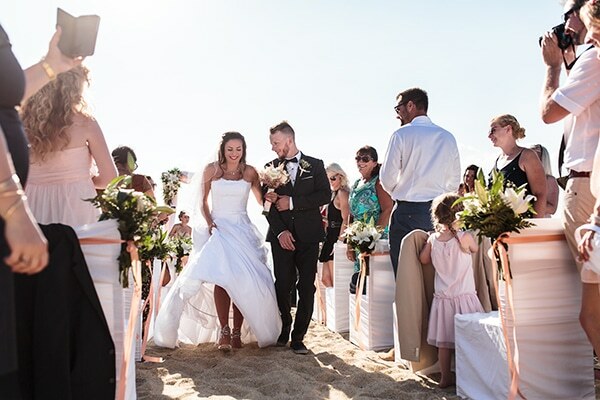 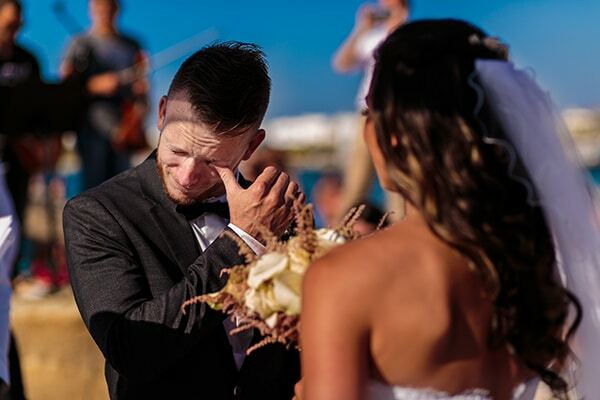 They chose a sandy beach of Naxos for their ceremony, where an impressive arch and white chairs were set. 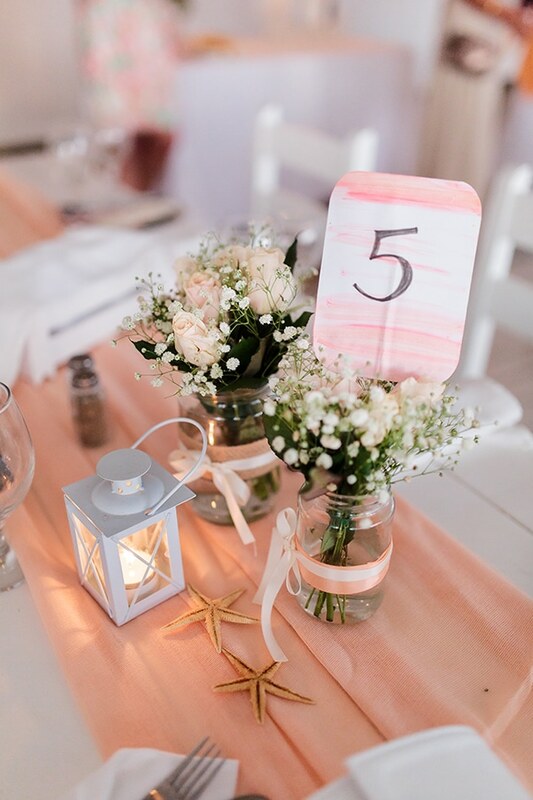 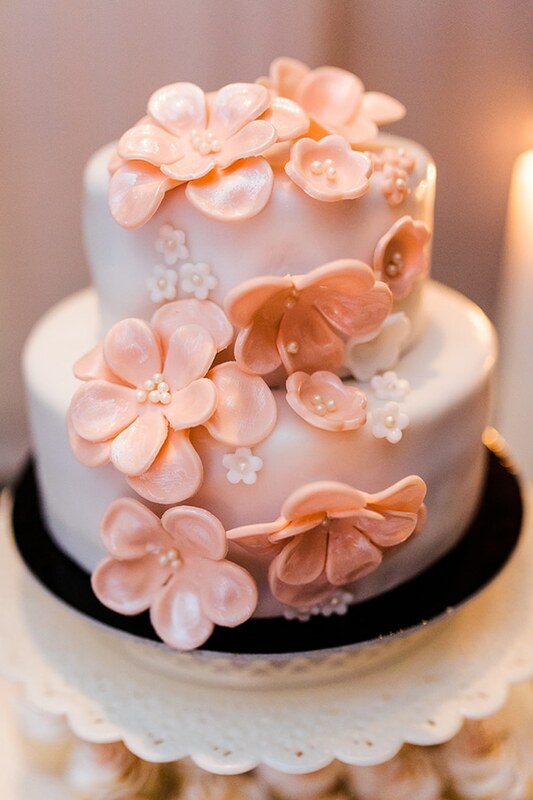 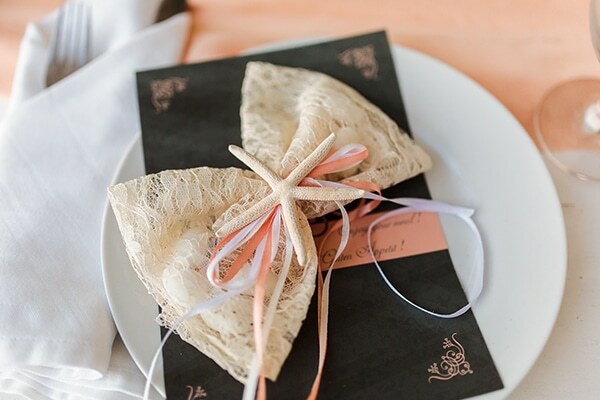 Main colors of their wedding were the white and peach and it was adorned with fresh white flowers, starfish and lace. 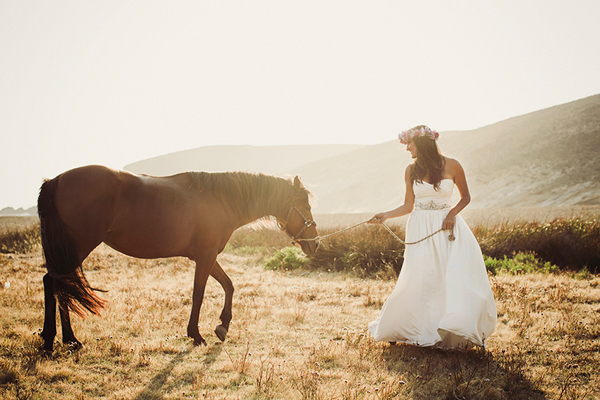 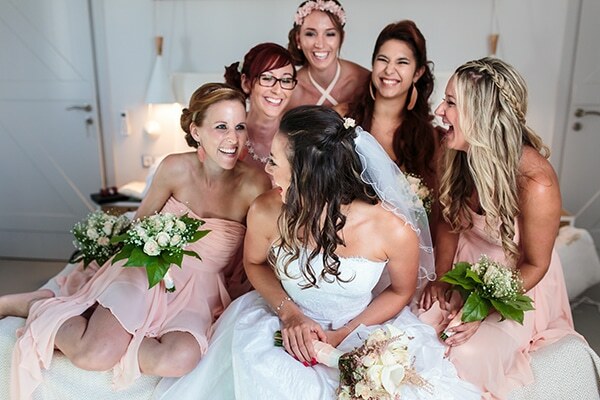 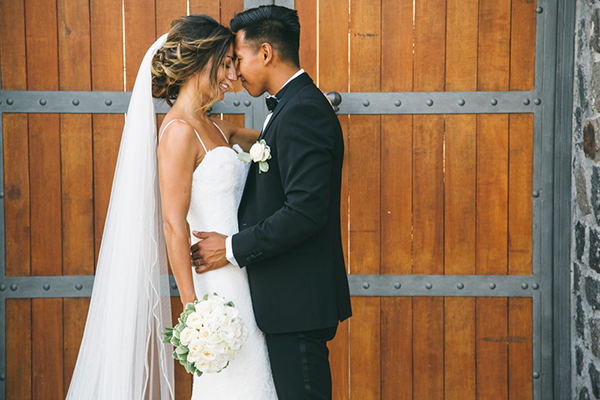 See every single moment of this pretty, natural wedding on the blog!